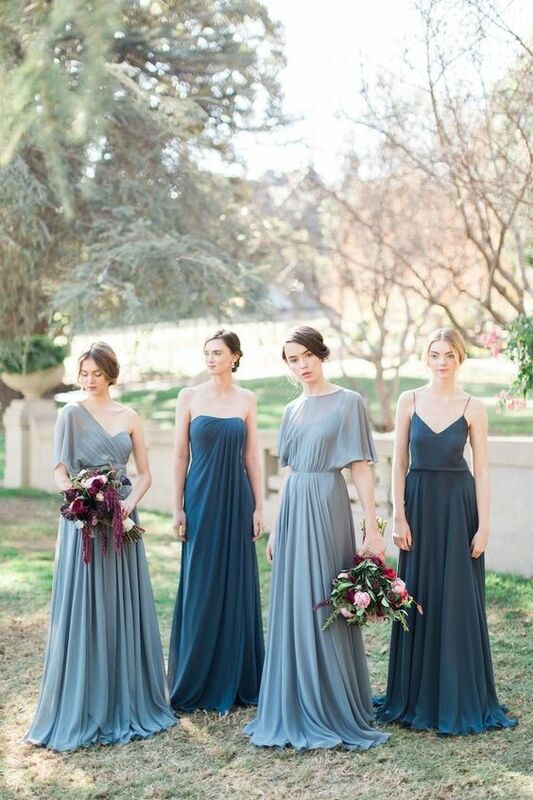 Mix and Match bridesmaids styles are stylish and chic and modern. 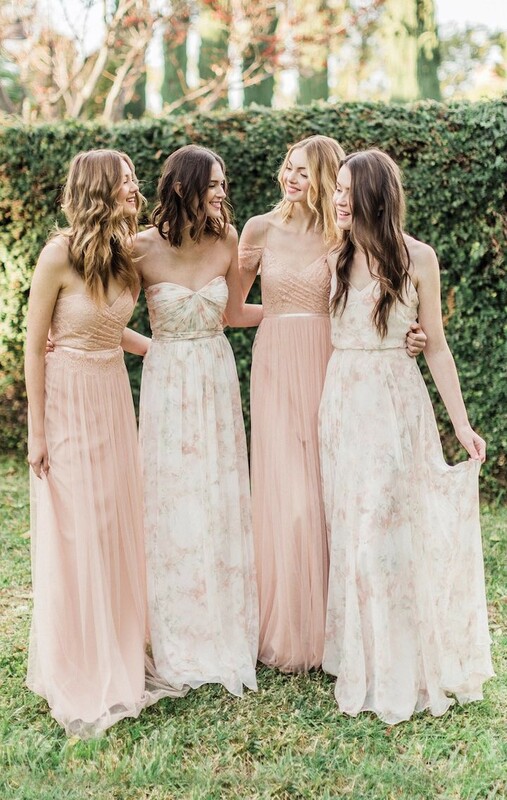 It not only adds color and beauty to the wedding train it accentuates, contours and brings out the silhouette of bridesmaids and their various body types. 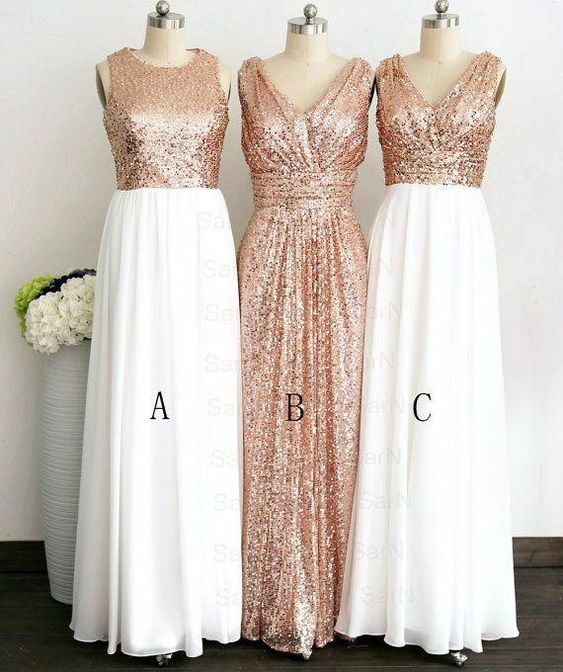 The styles can be of a single color with different dress styles, different shades of a particular color, floral and plain fabric designs, and so on. 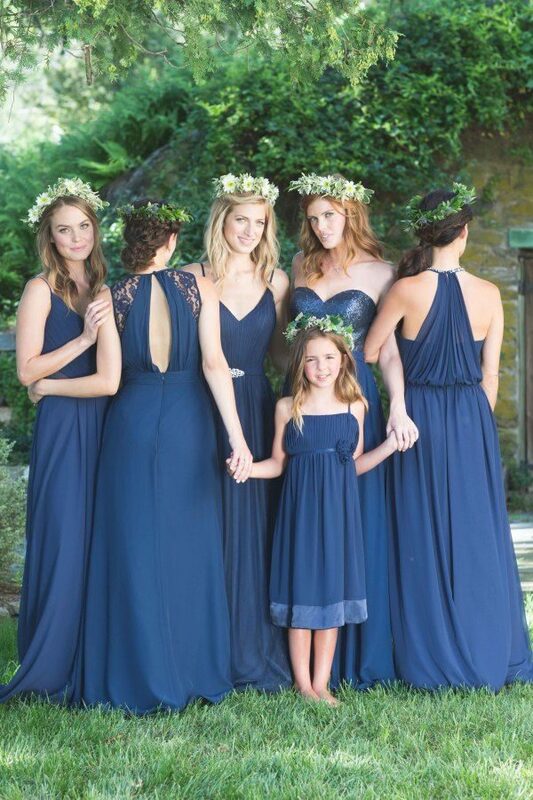 What ever your pick, bridesmaids will definitely look gorgeous. 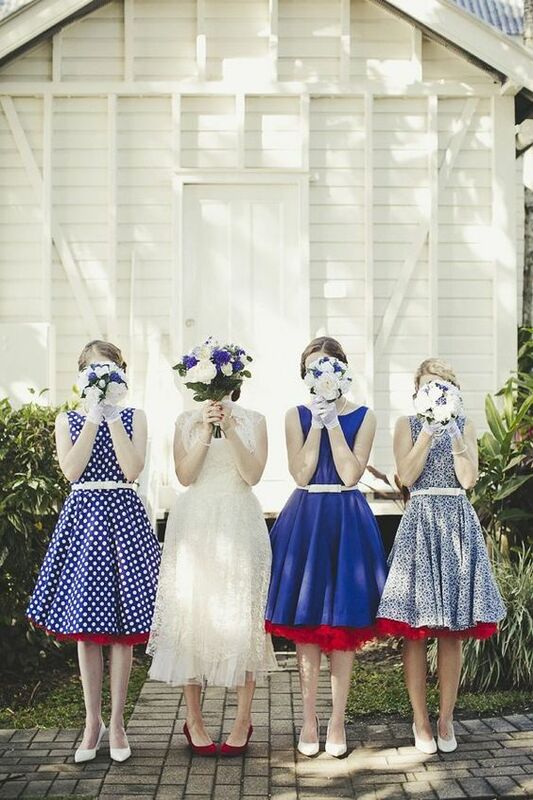 We put together an array of beautiful dresses just for you.